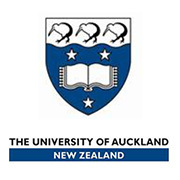 Assessment and treatment of patients in the AIH (Akoranga Integrated Health) Oral Health clinics starts from week seven of Semester 1 and in Auckland Regional Dental Service (ARDS) clinics in Semester 2. You explore health research methods, and will implement the oral health promotion project planned in Year 1. You could also visit communities with oral health education messages. You complete your pre-clinical training and start to undertake clinical activities both on and off site. Your clinical environments have been designed to reflect the oral health environments you’re likely to encounter once you graduate. To ensure ‘work readiness’, you will undertake your oral health papers as well as papers focused on health law and professional practice and ethics. You also complete a 15-point elective paper so you can pursue an area of interest. You will also be required to undertake a 15-point elective paper that allows you to pursue an area of interest.